Guntur, Jan 9, (way2newstv.in):Dr. Aramanda Ravi Kalyana Chakravarthi, Senior Adolescent Managing Director of Sri Gayatri Seva, said that lakhs of toys will be held on the occasion of celebration of the festival of Indian cuisine. 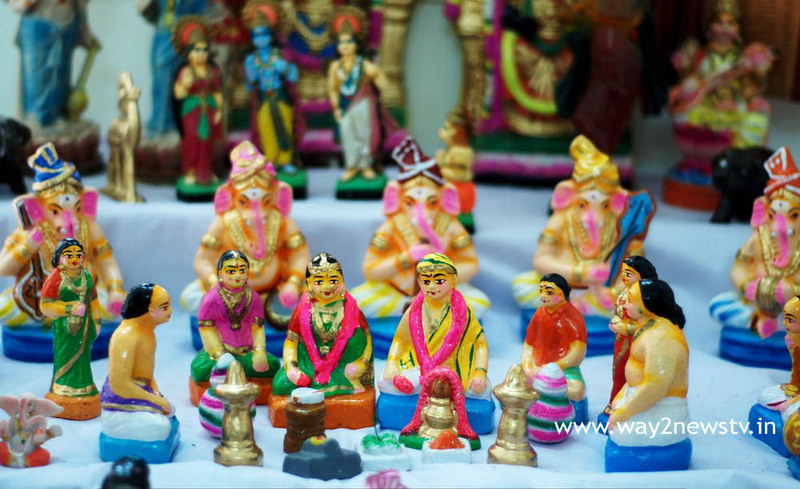 The celebration of toys in the hands of children in Sankranthi festive days will be interesting to carry the toys of the Indian traditional and culture. The sociologist Satyavani said that toys will be developed for the art and creativity of man. The exhibition will show the traditional and cultural scenes of different states from Kashmir to Kanyakumari. From 11th to 26th of this month, a large number of people participated in a performance at the Sri Padmavathi Kalyana Mantra in Tennali Chettipadam. For those who refuse the lakhs of dolls, the admission fees will be Rs. 10 for adults and Rs. 5 for children, and the Gayatri service will be used for the maintenance of the Heart Vest. Many service providers, social workers, retired lecturer Boppanna Rajasri and others participated in the program.